Since the housing crisis began in 2008, both the federal and state governments have responded with a number of homeowner assistance programs. While these programs have not been uniformly effective, they have succeeded in slowing down foreclosures and have helped thousands of people stay in their homes. We’ve helped hundreds of clients trapped in bad loans with mortgage modifications using the Obama Plan HAMP programs, FHA-HAMP, partial claims, and other available resources. We’ve also helped many people make a “graceful exit”, letting go of their house without further liability. 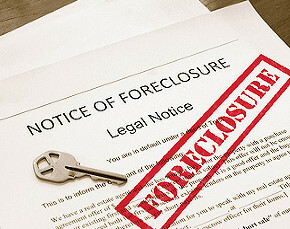 Whatever your situation, don’t try to tackle the complexities of foreclosure while under the stress of financial difficulty. You need professional, experienced guidance with these problems. We can help. You need professional, experienced guidance with these problems. We can help. A plan to stabilize the housing market and help struggling homeowners get relief and avoid foreclosure. Includes a mortgage modification and second lien modification program, as well as a program for refinancing loans owned or guaranteed by Fannie Mae or Freddie Mac. Can connect you to HUD-approved counseling and more. Fannie Mae is a government-sponsored enterprise (GSE) chartered by Congress with a mission to provide liquidity, stability and affordability to the U.S. housing and mortgage markets. Freddie Mac has a public mission to stabilize the nation’s residential mortgage markets, expanding opportunities for homeownership and affordable rental housing. The organization’s mission is to provide liquidity, stability and affordability to the U.S. housing market. *Free consultation offered for most bankruptcy cases. Other consultations may be fee based, at the attorney's discretion. We are a debt relief agency; we help people file for relief under the Bankruptcy Code. We promise not to bombard you with emails. However, we strive to post useful and timely information relative to our practice areas. By signing up, you will allow us to include you in these notifications. Of course, you can always opt out later if you choose to. Copyright 2015. Lawrence & Jurkiewicz, LLC.